Welcome to my website: A Little Spot of Poetry. Here you can purchase my book. Just $30 including postage for Australian residents. Click on the links here (below). You may wish to purchase the eBook too. If you're visiting from outside Australia, welcome! You may purchase my book with appropriate shipping here. Personally I love to hold a book and be able to flip through the pages. "What is this book about?" I can hear you ask. I guess it's the story of my life and a reflection of my opinion and attitude to certain things. The book is a collection of twenty two poems; each one with an introduction to explain why I wrote it. I like my poetry to have a little twist at the end, to entertain you. I describe my style as "Pam Ayres meets A. B. Paterson!" 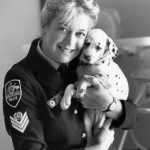 There is one poem, however, that aims to raise awareness and support Australian soldiers who may be affected by Post Traumatic Stress Disorder (PTSD). I proudly served in the Australian Army Reserve for many years. Read my book to find out more. 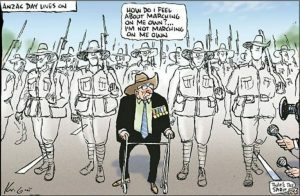 Permission granted by Mark Knight to include his cartoon with my poem. 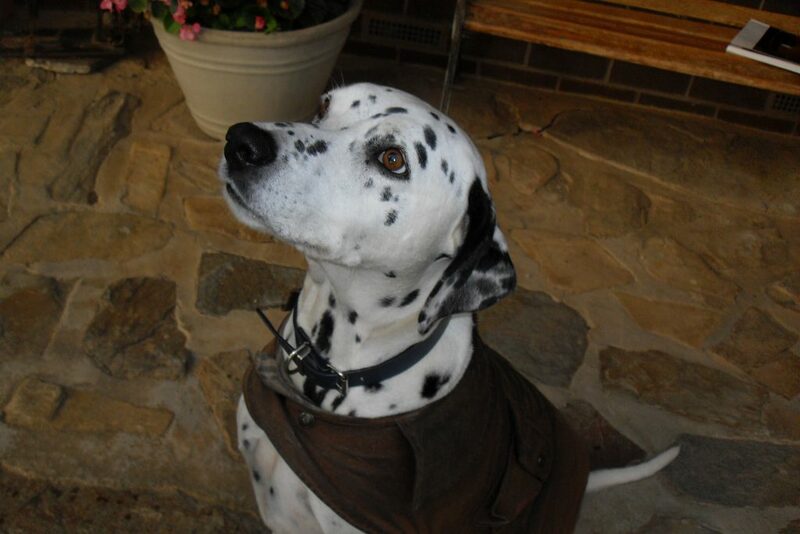 Dottie my beautiful cartoon Dalmatian shares in my adventures. I hope you get to love her as much as I did in real life. 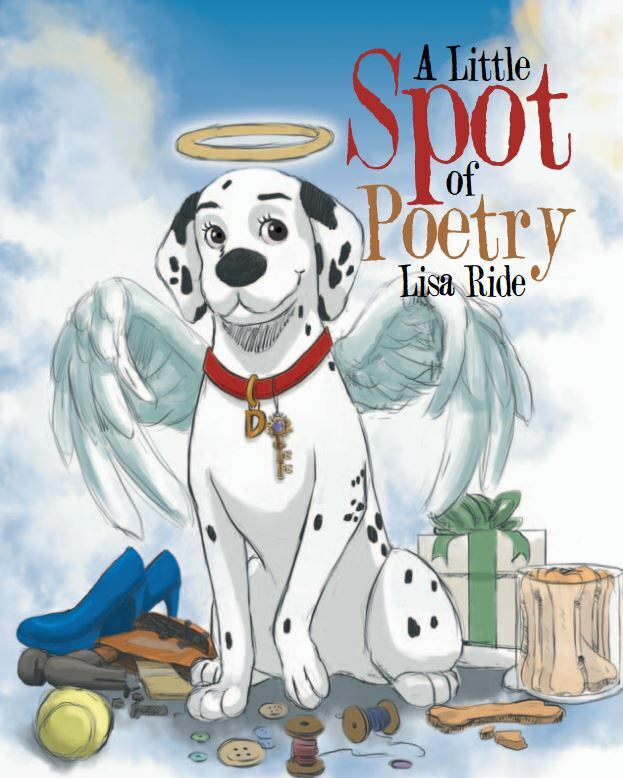 This book is for all ages; there’s a poem for everyone from the changing seasons, op-shopping, disqualified driving, domestic blindness, eBay, elephants, and more! My favourite photo of Dottie (left) taken about 2006. Here she's wearing a little bit of bling on her collar. 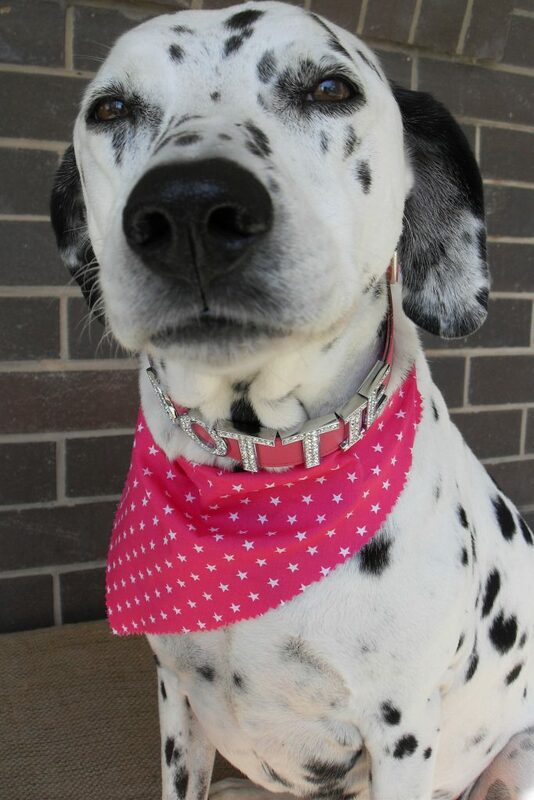 Above, Dottie wears a ZRIZA-BONE. This is an Australian oil-cloth. She loved wearing it in winter as it kept her lovely and warm. 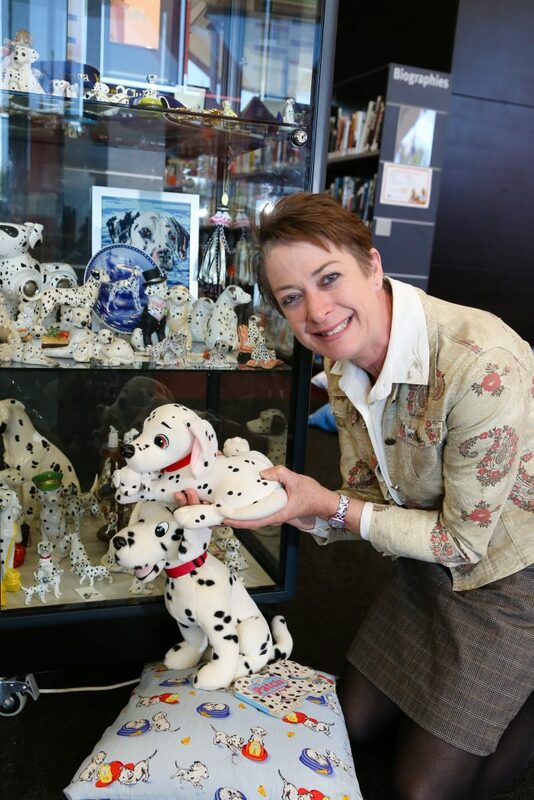 The photo (right) was taken in 2013 at the Albury Library Museum (Simon Dallinger Photography, Albury) when I displayed my collection of One Thousand and One Dalmatians (because that's how many I have!) along with a huge double sided Dalmatian quilt of the same name. I love poetry! I have been around poetry all my life. My father Edwin Ride was The Sentimental Bloke in the early 1960’s play written by Albert Arlen. My mother Josie Lester had me reciting Banjo Paterson by the time I was five years old. I very much enjoy writing poetry but to me the fun is in performance poetry. I describe my style as Pam Ayres meets AB Paterson. I gave my first local public recital at the Beechworth WRAP (Writers, Readers and Poetry) in 2014 where I watched in awe as other poets entertained the crowd. My next big event was the Australian National Bush Poetry competition at Corryong in 2015, where I won 'Best New Novice Writer'; I was a Victorian finalist in the Australian Poetry Slam 2015 and I'm a NSW state finalist for the 2016 Australian Poetry Slam in Sydney. 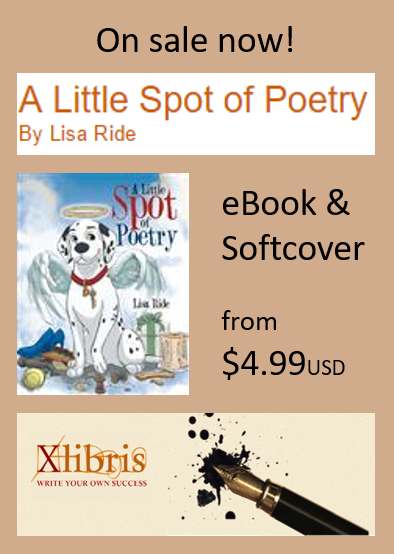 With the launch of my book A Little Spot of Poetry, it's been an exciting journey. I hope you enjoy it too.